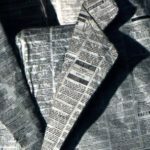 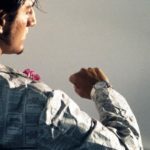 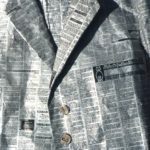 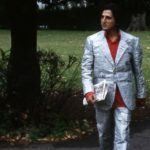 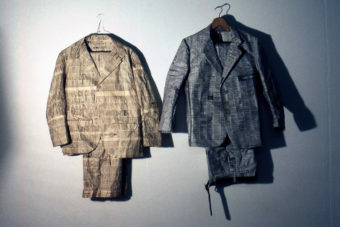 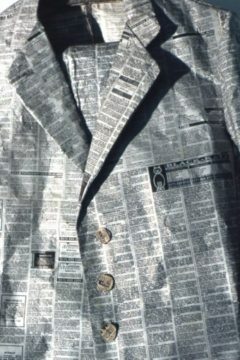 In his PAPER SUITS made of the personals section of the Loot newspaper the artist tries to convey a feeling of isolation and frustration due to the difficulty of making sexual relationships with others. 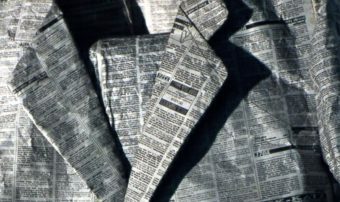 The choice of paper tries to reflect among other things the fragility He was experience at the time with his own body. 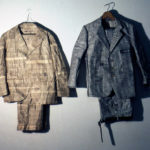 Those suits have been worn by the artist as performance pieces and the culmination of this work can be seen in the video section where the artist stands under the rain and waits to be disrobed by the disintegration of the suit when it comes in contact with the water.